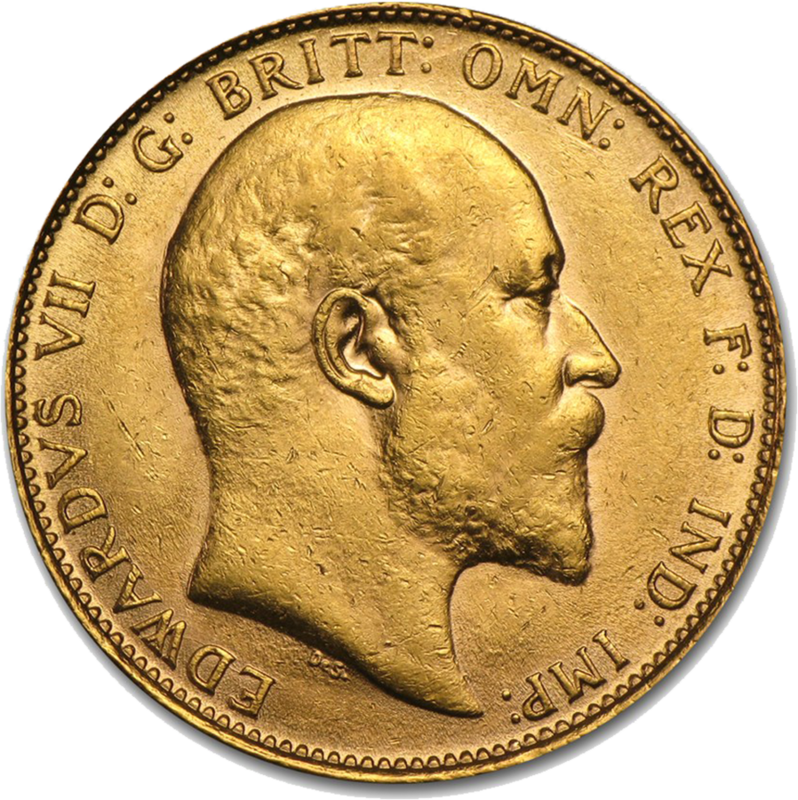 The first issue of coins bearing Edward VII were minted in 1902. Only one portrait was issued during his relatively short reign. The King faces to the right on these coins and they are stuck in medal alignment. 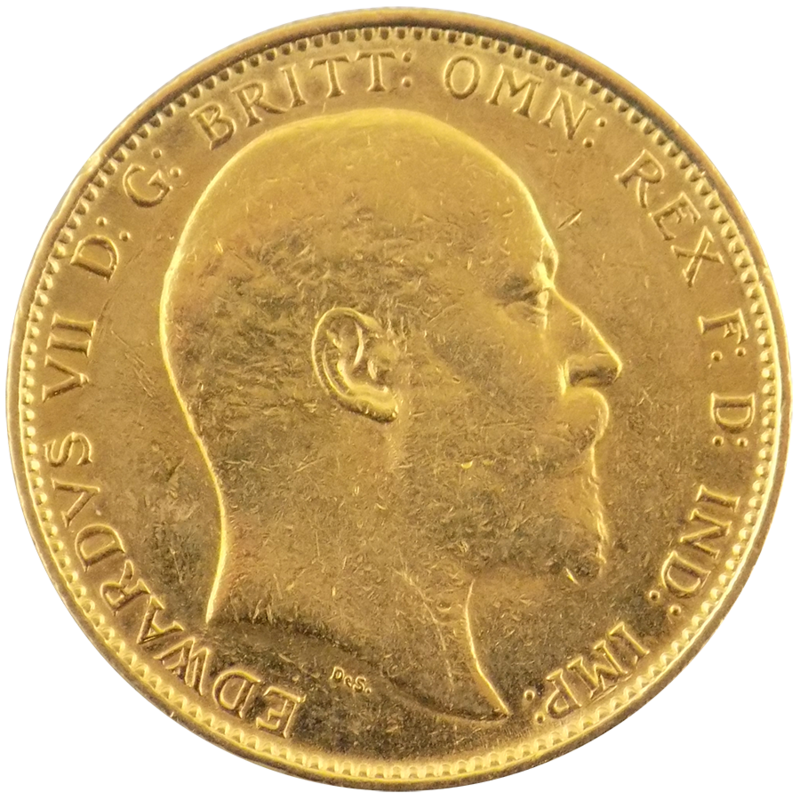 Although King Edward succeeded the throne in January 1901, sovereigns were still minted bearing his mother’s portrait for the remainder of that year. 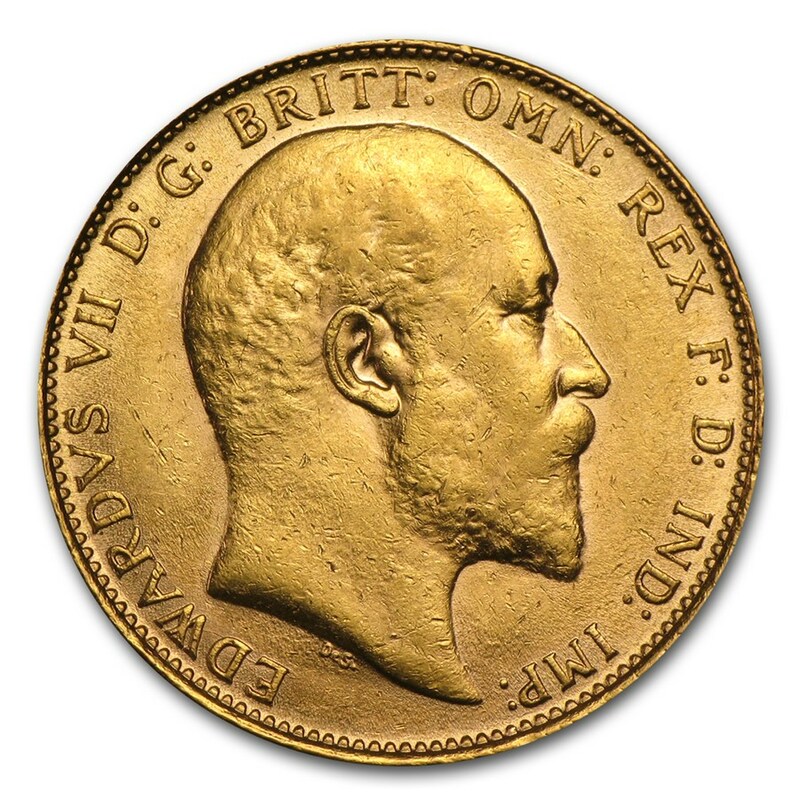 Edward reigned for less than a decade and only one portrait was issued. This portrait is of an uncrowned King. Coins were minted at 5 mint location. London, Melbourne, Sydney, Perth and Canada. The Canadian Mint opened towards the end of King Edward VII reign, in 1908, but they also produced Edward VII Sovereigns. 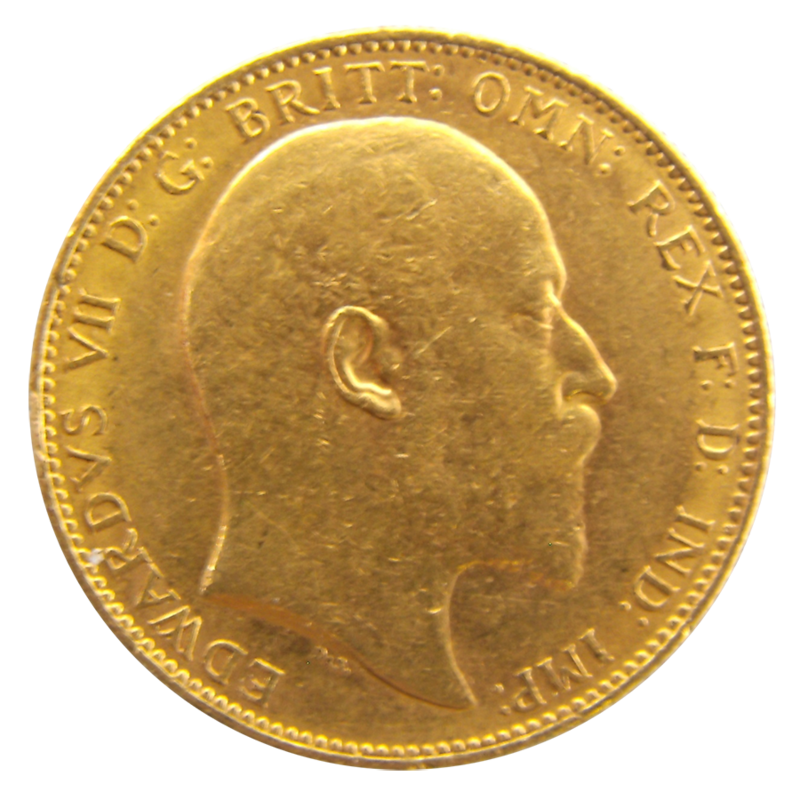 The mint mark can be round on the reverse and is located under the George and the Dragon.